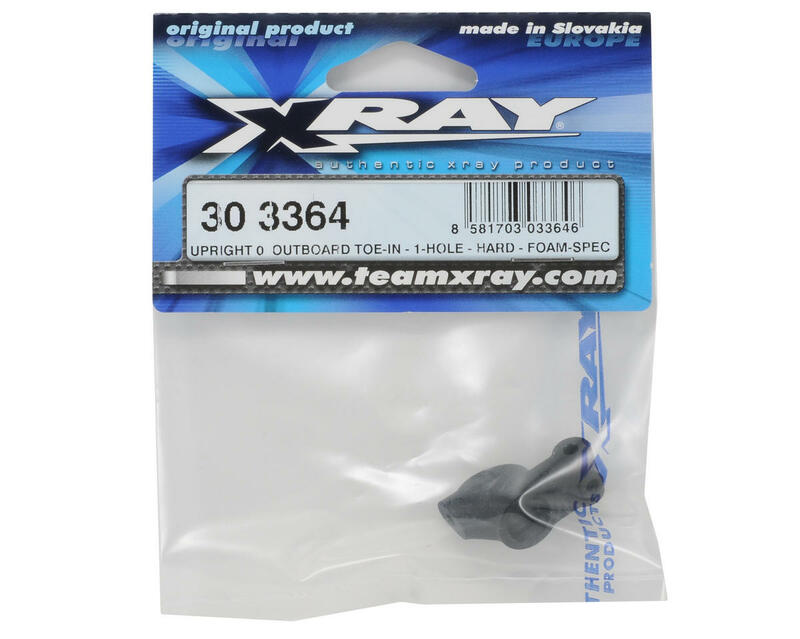 This is a XRAY Hard Composite Rubber-Spec Rear Upright, and is intended for use with the XRAY T3 touring car. This molded-composite rear upright features built-in 0° of outboard toe-in to improve traction and prevent suspension geometry changes in serious crashes. This 1-hole upright is recommended for use on high-traction tracks or tracks with long sweepers, since the position of the center hole will allow the chassis to carry more corner speed. 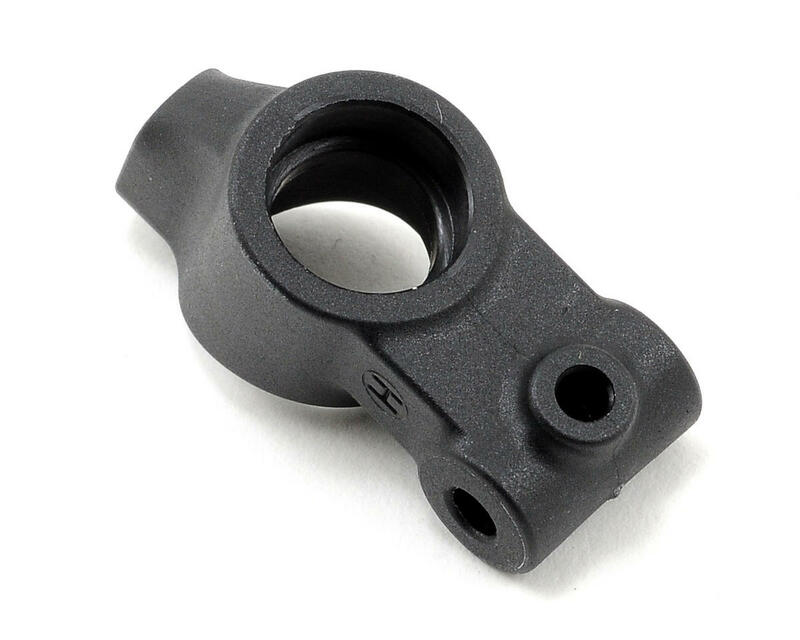 More roll center positions can be easily adjusted by adding shims between the upright and the turnbuckle ball joint. The rear upright feature small but robust 5x10x4 ball-bearings to minimize un-sprung weight. Hard rigidity (labeled “H”) composites are specially optimized for foam-tire racing, but can also be used with rubber tires. For use on both left and right sides of the car.